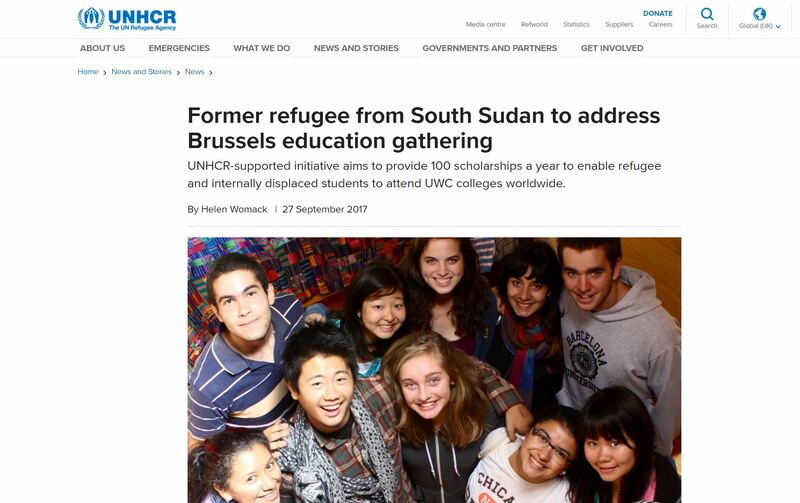 In light of the dramatic escalation in the number of young displaced people fleeing conflict, persecution or environmental disaster, combined with the need for future post-conflict leadership, there is an urgent need to further increase the number of refugee students being granted access to a world-class school education at a UWC school or college. This is why UWC launched the UWC Refugee Initiative, which aims to raise the funds for an additional 100 scholarships per year for refugee students from 2017 onwards. The 100 scholarships will be allocated across UWC’s 17 schools and colleges. Additionally, and in light of the recent developments in the US, UWC Mostar, in Bosnia-Herzegovina has decided to extend scholarships to refugees and students from all seven nations. We are delighted that a UNHCR-supported initiative aims to provide 100 scholarships a year to enable refugee and internally displaced students to attend UWC colleges worldwide. Read the UNHCR article here. Read the UWC Refugee Initiative Booklet here. Our annual university fair took place last weekend with many US universities represented. It was superbly coordinated by Mark Chalkley and Hildegunn Arstein, our RCN university counsellors, and Susan Albrecht and Dave Fredricks, the UWC tour coordinators. The DROP team kindly provided refreshments on Sunday morning in advance of the interview sessions. 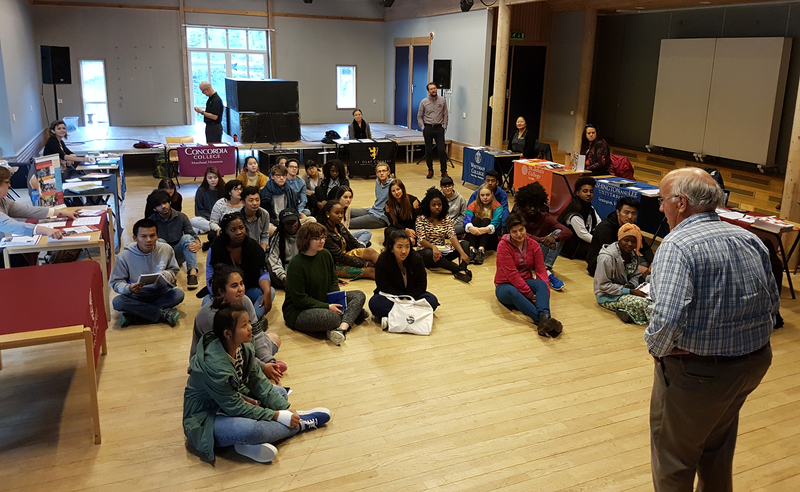 Last week, we also had Mona Taylor from the GB National Committee giving an introduction to Scottish Universities and Ed Love, from Oxford University, advising on crafting personal statements for UK applications. Thank you to Mark and Hildegunn for providing this external support and guidance for our second year students. 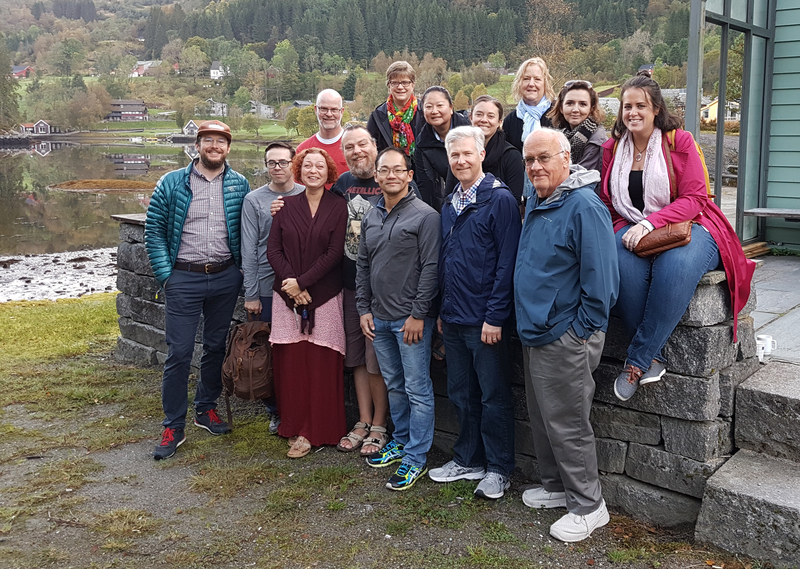 Our visitors were: Will Schiffelbein – Colorado College; Jenny Howenstine – St. Olaf; Tony Lee – University of Oklahoma; Kimberly White – Ringling College of Art and Design; Jee Won Lee – Whitman College; Susan Hillmann de Casteñeda – Earlham College; Amanda Stevens – St. John’s College; Jonathan Webster – Washington & Lee University; Steve Schaefer – Concordia College; Crockett Marr – Reed College. 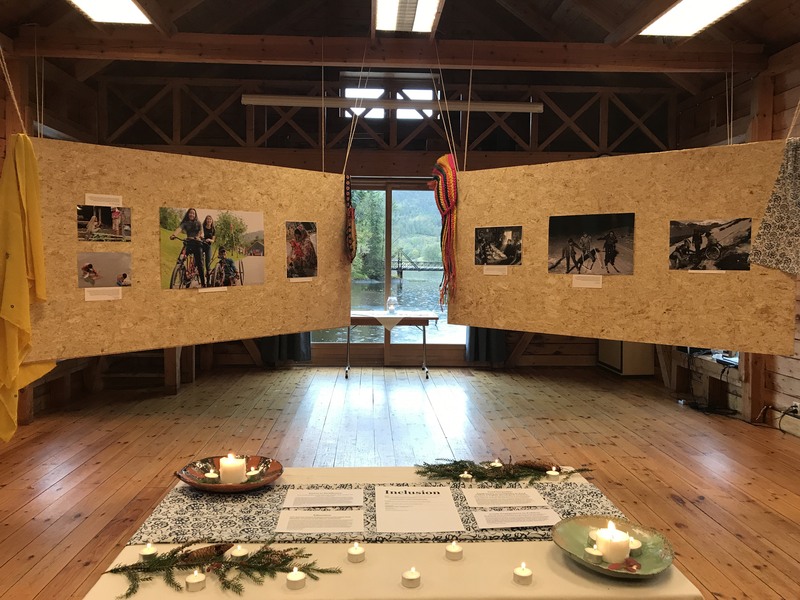 An exhibition was put in place on the 21st of September, for HM Queen Sonja, with the theme of “inclusion”, a value that is at the core of the UWC movement. 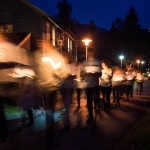 The work displayed in Naustet – one of the boathouses next to the floating bridge – was a combination of mediums such as photography, painting, prose and written work, all relating to the theme, and was submitted by students and also staff of RCN and RKHR. The exhibition was assembled and organised by Rodrigo Freitas (Portugal), along with the help of other RCN students and staff. The Queen, an artist herself, was escorted and introduced to the artwork on display by Rodrigo Freitas and Mean Pring. 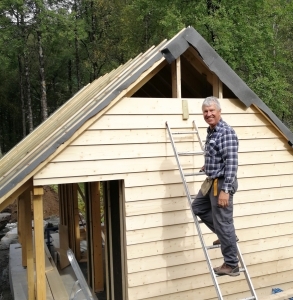 This summer saw the retirement of Vidar Jensen (Head of Maintenance) from UWC Red Cross Nordic. Vidar has worked at Haugland for the past 30 years, from the times before the College and the Rehabilitation Centre were opened – and, more recently, he has served the College for 22 years since it was opened back in 1995. He has made an extraordinary contribution to the development of this place. In his retirement, he has taken on the role of project manager for the construction of the new Baking House on our campus. On the afternoon of Thursday 21st September 2017, Vidar introduced Her Majesty Queen Sonja, the patron of the College, to the Baking House project. 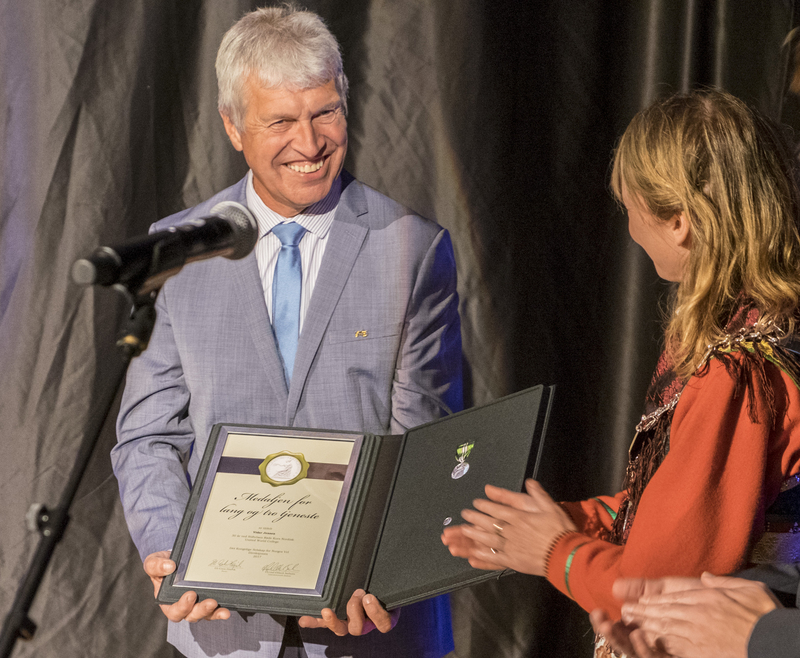 At the opening of the cultural show – and in the presence of Her Majesty – he was presented with the thirty years long service medal by the mayor of Fjaler, Gunhild Berge Stang.